NEW YORK – In September 2019, Valiant Entertainment will launch its new bloodshot comic series. This will be written by Tim Seeley and the artwork would be done by Brett Booth. It will be launched before the release of Vin Diesel’s Bloodshot by Sony Pictures. By announcing the launch of new bloodshot comic series, Valiant Entertainment has left everyone in big surprise. Declan Shavley will be the covers of the series which would be full of badass actions and surprising stories. Tim Seeley, the writer of the story said that he didn’t need to reinvent the wheel with Bloodshot. All he tried was to keep the story long and crazy in a comic sense. Also, he focused on keeping it emotional and relevant to comic sense. While narrating the story about a guy who uses his powers to help people, Seeley has planned to go with a fun and fast-paced approach with Bloodshot. The artist Brett Booth shared his experience of working with an exciting script and said that he was excited to work on such a project for a long time. He further said that there is badass action the series which he hoped for and then it unfolds into the rest of the story. Seeley also appreciated the work of Brett Booth in the series and called him the perfect choice for it. Because of his style, he could easily do the powerful action that is required in such a comic book series. DMG Entertainment and Valiant Comics share a strong relationship as the latter is a subsidiary of the former. 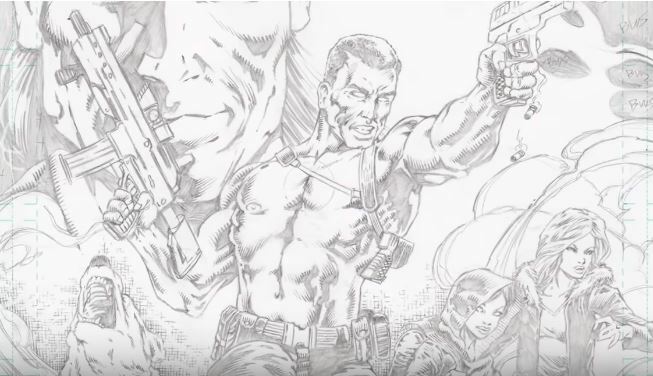 Bloodshot is the latest of the works of Valiant Entertainment. DMG has played a key role in developing and expanding upon Valiant’s publishing arm and it would also produce Valiant’s features with the help of studios.